Backwoods Gallery has got its hands on a winner: A limited edition hand finished print by the mighty Meggs. 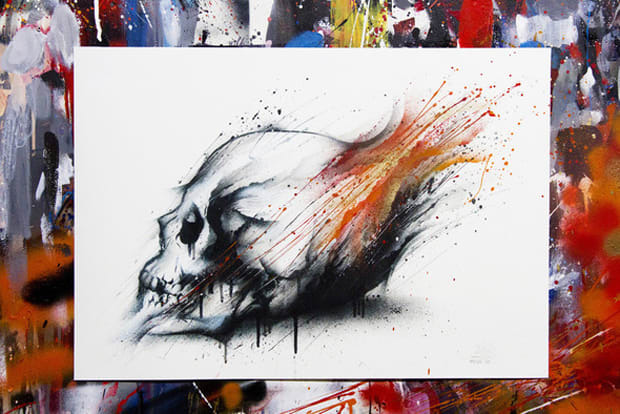 Produced in an edition of 20, "Swear on the Skull" the piece has a sinister feel and is chock full of the artist&apos;s signature paint work. Watch the video below for the full story.